For those fashionistas in the know, no doubt you were waiting in line bright and early on Sunday morning to grab those delicious Phillip Lim bags. Some of you were even up late Saturday night waiting for Target's website go live! 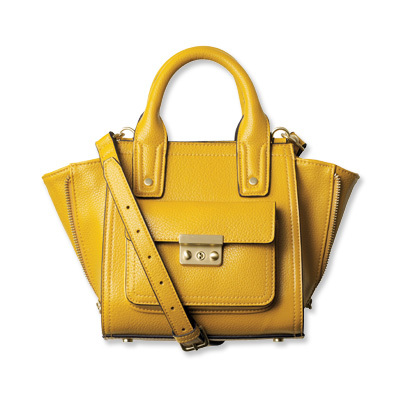 Well, after all the dust had settled, Phillip Lim for Target mini satchels were all gone. But fear not, I had a friend grab one for me from her local Target store so I can giveaway this impossibly hard to find bag to one of my readers! I don't need to go into details about this bag because I'm sure you are more than familiar with it. Good luck everyone and may you be the lucky gal to call this bag yours!